Not to be confused with Tosafot or Tosafists. The Tosefta (Jewish Babylonian Aramaic תוספתא "supplement, addition") is a compilation of the Jewish oral law from the late 2nd century, the period of the Mishnah. In many ways, the Tosefta acts as a supplement to the Mishnah (tosefta means "supplement, addition"). The Mishnah (Hebrew: משנה‎) is the basic compilation of the Oral law of Judaism; according to the tradition, it was compiled in 189 CE. The Tosefta closely corresponds to the Mishnah, with the same divisions for sedarim ("orders") and masekhot ("tractates"). It is mainly written in Mishnaic Hebrew, with some Aramaic. At times the text of the Tosefta agrees nearly verbatim with the Mishnah. At others there are significant differences. The Tosefta often attributes laws that are anonymous in the Mishnah to named Tannaim. It also augments the Mishnah with additional glosses and discussions. It offers additional aggadic and midrashic material, and it sometimes contradicts the Mishnah in the ruling of Jewish law, or in attributing in whose name a law was stated. According to rabbinic tradition, the Tosefta was redacted by Ḥiya bar Abba and one of his students, Hoshaiah. Whereas the Mishna was considered authoritative, the Tosefta was supplementary. The Talmud often utilizes the traditions found in the Tosefta to examine the text of the Mishnah. The traditional view is that the Tosefta should be dated to a period concurrent with or shortly after the redaction of the Mishnah. This view pre-supposes that the Tosefta was produced in order to record variant material not included in the Mishnah. Modern scholarship can be roughly divided into two camps. Some, such as Jacob N. Epstein, theorize that the Tosefta as we have it developed from a proto-Tosefta recension which formed much of the basis for later Amoraic debate. Others, such as Hanokh Albeck, theorize that the Tosefta is a later compendium of several baraitot collections which were in use during the Amoraic period. More recent scholarship, such as that of Yaakov Elman, concludes that since the Tosefta, as we know it, must be dated linguistically as an example of Middle Hebrew 1, it was most likely compiled in early Amoraic times from oral transmission of baraitot. Professor Shamma Friedman, has found that the Tosefta draws on relatively early Tannaitic source material and that parts of the Tosefta predate the Mishnah. 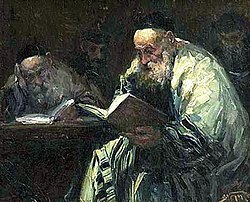 Alberdina Houtman and colleagues theorize that while the Mishnah was compiled in order to establish an authoritative text on halakhic tradition, a more conservative party opposed the exclusion of the rest of tradition and produced the Tosefta to avoid the impression that the written Mishnah was equivalent to the entire oral Torah. The original intention was that the two texts would be viewed on equal standing, but the succinctness of the Mishnah and the power and influence of Judah ha-Nasi made it more popular among most students of tradition. Ultimately, the state of the source material is such to allow divergent opinions to exist. These opinions serve to show the difficulties in establishing a clear picture of the origins of the Tosefta. We do not follow the opinion of R. Ḥiya, as expressed in a Baraita, if he disputes with Rebbe [Judah ha-Nasi]. For example, let us suppose that a certain halacha had originally been a matter of dispute between R. Meir and R. Yosi; but Rebbe [Judah ha-Nasi] decided to record in the Mishnah only R. Meir's opinion [anonymously]. Had R. Ḥiya then come along, in the Tosefta, and stated that the halacha had been originally a matter of dispute - even though it has now been reported anonymously - we follow the Mishnah rather than take up the episode which places the rabbis at variance. Whenever R. Meir and R. Yosi disagree, the halacha follows R. Yosi. Nevertheless, since in the Mishnah, Rebbe [Judah ha-Nasi] mentioned only R. Meir's opinion, we follow R. Meir. Rabbi Sherira Gaon then brings down the reverse of this example: "Or, let us suppose that Rebbe [Yehuda Ha-Nassi] in the Mishnah records a dispute between R. Meir and R. Yosi. However, R. Ḥiya prefers R. Meir's argument, and therefore records it in a Baraita without mentioning R. Yosi's opposing view. In such a case, we do not accept [R. Ḥiya's] decision." 'London' (15th century; London - British Library Add. 27296; contains Seder Mo'ed only). The Editio Princeps was printed in Venice in 1521 as an addendum to Isaac Alfasi's Halakhot. All four of these sources, together with many Cairo Geniza fragments, have been published online by Bar Ilan University in the form of a searchable database. Two critical editions have been published. The first was that of Moses Samuel Zuckermandl in 1882, which relied heavily on the Erfurt manuscript of the Tosefta. Zuckermandl's work has been characterized as "a great step forward" for its time. This edition was reprinted in 1970 by Rabbi Saul Lieberman, with additional notes and corrections. In 1955 Saul Lieberman first began publishing his monumental Tosefta ki-Feshutah. Between 1955 and 1973, ten volumes of the new edition were published, representing the text and the commentaries on the entire orders of Zera'im, Mo'ed and Nashim. In 1988, three volumes were published posthumously on the order of Nezikin, including tractates Bava Kama, Bava Metzia, and Bava Batra. Lieberman's work has been called the "pinnacle of modern Tosefta studies." David Pardo: Chasdei David; Originally published in Livorno (1776), and printed in editions of the Vilna Shas. Yehezkel Abramsky: Hazon Yehezkel (24 volumes, 1925–1975 in Hebrew). Saul Lieberman: Tosefet Rishonim, Jerusalem 1937. The Tosefta has been translated into English by Rabbi Jacob Neusner and his students in the commentary cited above, also published separately as The Tosefta: translated from the Hebrew (6 vols, 1977–86). Eli Gurevich's English translation and detailed commentary on the Tosefta is in the progress of being written. It can be downloaded for free from his website http://www.toseftaonline.org/. ^ Rabbi Avraham ben David (RAVAD), Seder Hakabbalah lehaRavad, Jerusalem 1971, p. 16 (Hebrew). The author, who wrote his own chronology in anno 1161 CE, places the compilation of the Mishnah in year 500 of the Seleucid Era counting, a date corresponding to 189 CE. ^ Rashi in his commentary on Talmud Sanhedrin 33a, s.v. v'afilu ta'ah b'rebbi Hiyya. ^ Yaakov Elman, Authority & Tradition, Yeshiva Univ. Press, 1994; "Babylonian Baraitot in Tosefta and the `Dialectology' of Middle Hebrew," Association for Jewish Studies Review 16 (1991), 1–29. ^ S.Y. Friedman, Le-Hithavvut Shinnuye ha-Girsaot be'Talmud ha-Bavli, Sidra 7, 1991. ^ Tosephta (based on the Erfut and Vienna Codices), (ed. M.S. Zuckermandel), Jerusalem 1970.